Nancy Keyak Simpson, CTS, brings a career of experience in audiovisual project management site operations and maintenance to Advanced AV. Nancy delivered exceptional client experience and oversaw global end user video conference training while at Merck in Unified Communications. Prior to that she established and grew Merck's audiovisual team at first for the Research Division, this evolved into establishing standardized shared services for all divisions, which she managed across 9 U.S. sites. Nancy played a leadership role in establishing Merck's audiovisual standards. 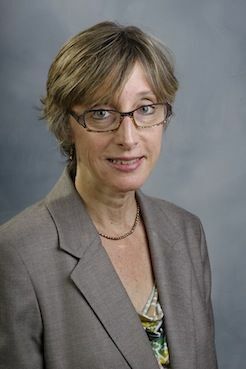 Prior to these roles she was producer and director for Merck's research division video productions including directing several clinical trial training programs in the U.K.
"I am thrilled to be a part of the Advanced AV family as an account manager, having partnered with many of the team members for many years," said Nancy Keyak Simpson. "In my new role I’ll bring the insights of having literally been in the client’s place while also having been an active member of the audiovisual community for many years. In this way I’ll be a great liaison between understanding and conveying the client’s requirements and partnering those communication and functional needs with Advanced AV’s team’s expert capabilities." In her free time Nancy enjoys fly fishing and is a member of the Delaware Valley Women’s Fly Fishing Association. She also enjoys biking, antiquing, traveling and music. Kerri Halliwell comes on-board as a services account executive. Kerri will be handling service renewals as well as establishing a broader customer base by leveraging previous contacts and experience. Prior to joining Advanced AV, Kerri worked for KBZ Communications. Kerri was hired on to start the Service Department to maximize profit and find ways to bring back existing customers while building new relationships. “At KBZ I did ‘everything service’ from renewal quotes, release keys, processing service PO’s, handling complaints and resolving with Tandberg/Cisco, if it involved service in any way it was passed to me,” said Kerri Halliwell.